As regulators are starting to look into Google & Facebook more, predictably Apple and Facebook are racing to pivot their brand image as privacy conscious platforms. Consumers it seems will have to get used to closed ecosystems, more subscriptions and data harvesting along the lines of encrypted technological microcosms. Spotify who compete with Apple Music directly have filed an EU antitrust complaint against Apple. This is big news as the EU is already looking into Google and Facebook. Google and its parent company Alphabet could be facing an antitrust fine from the European Union in the coming weeks over its AdSense advertising product, according to Reuters. If Technology companies might get more regulated, it’s only understandable Apple and Facebook are running to the forest of “Privacy”. As Apple needs to pivot to services and its wearables (AppleWatch is doing incredible), Facebook wants to pivot to encrypted Messaging and stories within its walled garden where Ad-revenue can be consolidated in messaging and video stories. If Walled gardens are the future of platforms, that Amazon itself heralded a long time ago with its Amazon Prime subscription, privacy becomes a more important issue where Silicon Valley tries to avoid anti-trust regulation that could undermine its business practices. 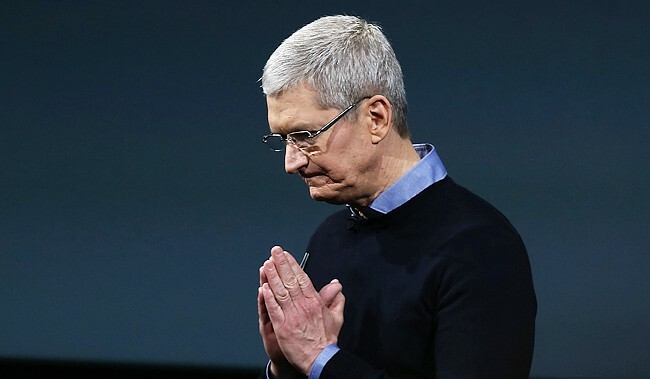 Apple CEO Tim Cook has long advocated for digital privacy, which he has called a “human right” and a “civil liberty.” This is quite different from the history of Facebook and Mark Zuckerberg who has advocated Facebook’s open-sharing platform that helps connect the world. Yet Apple and Facebook are just two of the most powerful tech companies since the advent of the internet. You begin to see how the internet might scale towards highly centralized platforms and walled garden ecosystems. This, as many tech companies are also pivoting into enterprise products such as the Cloud, healthcare and broader categories of consumer utilities in general like the streaming of original content TV entertainment. To maintain dominance powerful Big tech G-MAFIA companies will do what’s necessary in their next-gen pivot and Apple & Facebook are particularly fascinating to watch in 2019. I do agree with Spotify that Apple Music has an “unfair advantage” over rivals. Apple Music is an elephant in the room in spite of the poor performance of Apple’s HomePod and even how Siri has not kept up with Alexa or Google Assistant in the past few years. Technology has the potential to keep changing the world for the better but is moving to private walled gardens truly the answer? A reliance on high margin digital advertising turned the internet into a feast on our data, now it appears the pendulum will go far into the other direction of centralized private ecosystems that will be crypto resistant and squeeze monetization from its network in a bizarre twist of fate of the Western internet. Meanwhile these services like Amazon Prime and Netflix will have to keep raising their fees for consumers, just as iPhones have become nearly unaffordable to the Middle Class. Apple first started charging its 30-percent commission on in-app transactions back in 2011. Five years later, it tweaked its fee structure so that its 30 percent cut would drop to 15 percent in subsequent years. Apple’s monetization structure hasn’t just been greedy, it’s a bit anarchic. Spotify has reportedly seeking assistance from European regulators back in December 2017, and nearly four years after the U.S. Federal Trade Commission started to look at the situation (the FTC has yet to take any action). While the EU appears to be taking action slowly now, Brexit is forcing Tech companies to re-think their euro strategy. How does a Unicorn like Spotify compete with the likes of Apple who has $Billions in cash-flow? At what point do you tax, regulate or prevent walled gardens from exercising their monopoly status in a way that hinders other companies and prevents fair competition? So, it’s not just a question of privacy in the end, it’s a shift to how capitalism must regulate these walled gardens so that everybody wins.